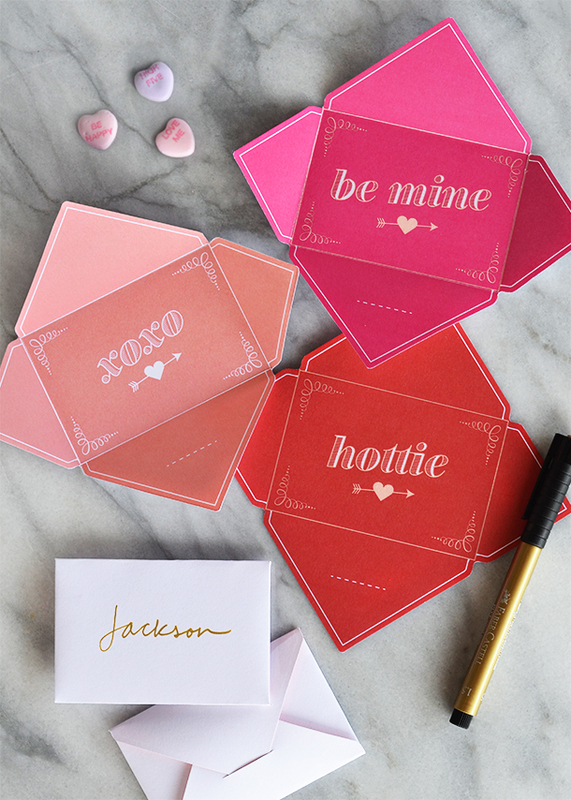 Jenn here, with a quick DIY for any of you procrastinating cupids out there — it’s not too late to spread a little love with our printable Valentine templates! Just download one (or all) of our three templates below and send them to your office printer. 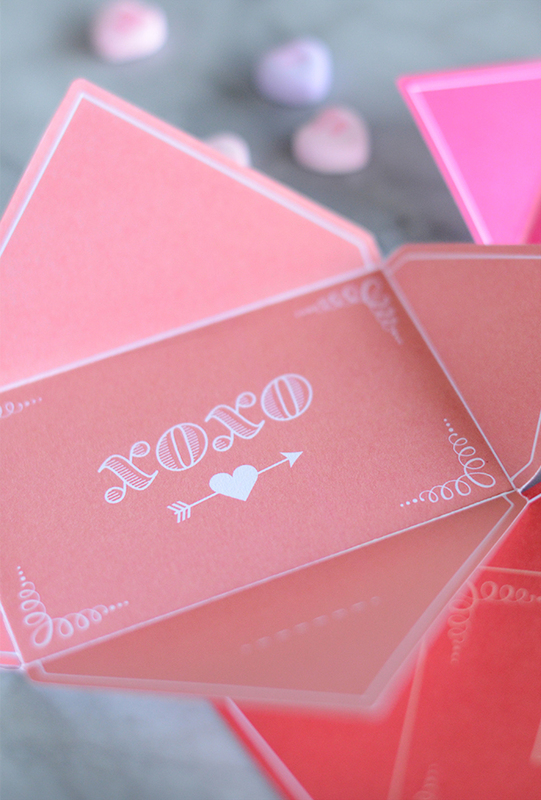 Carefully cut out the valentine with scissors and use an exacto blade to cut the slit along the dashed white line. Fold, address, and deliver! Here’s wishing you much love on this Valentine’s Day. 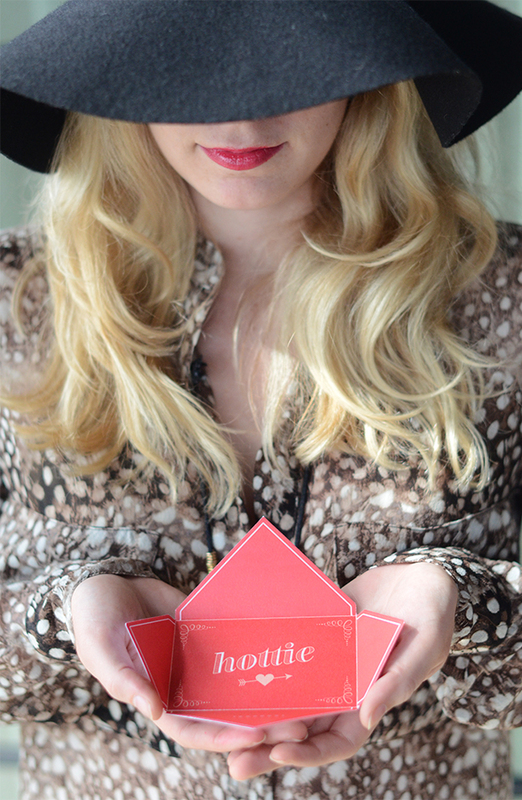 Very minimal and sweet. Love it! Aww, thanks, Amanda! Happy Valentines Day to you! L.O.V.E. these! So very perfect, Jennifer. My favorite is the “Hottie” card. I use that word often LOL. This is so fun, the colors are adorable. Thanks for sharing! Haha! Thanks, Lotoya! I think my favorite expression is probably still “so fine”, but that really dates me! Happy Valentine’s Day to you!!! Thx. for sharing such a creative spin on the Val-Card. Thanks for sharing. 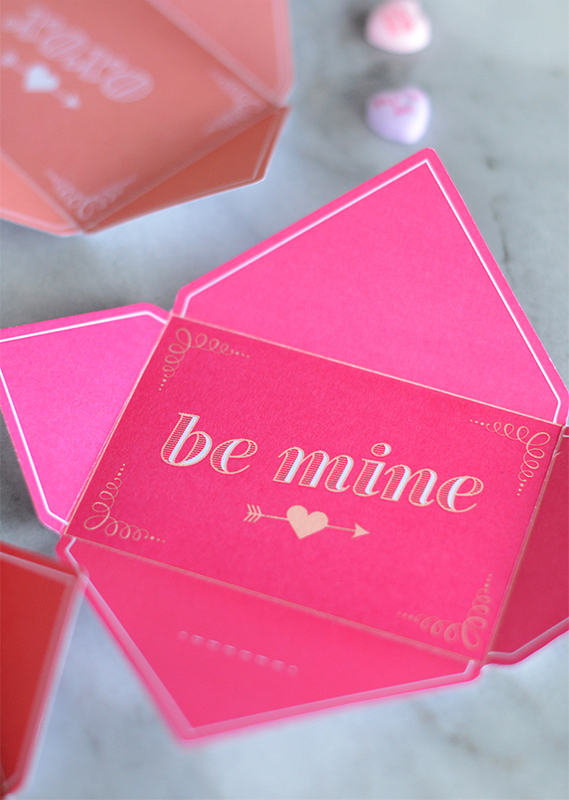 I folded mine in reverese and put Valentine coupons in it for my husband, perfect size and super cute!! Awesome! How clever, Lisa. We might have to steal that idea! These are very pretty. I love them! So cute!! What font are you using? so cute! do you print these on white paper? I really love this ! So beautiful ! Thanks ! These are so cute! I especially love the cupids heart 🙂 new follower! Beautiful design! Was the typeface handmade or found? Thank you, Britney! I handmade the typeface for this particular project. I started with a found typeface from VEER and embellished it from there. I can’t for the life of me remember the name of the VEER font (and of course the files are flattened now). But I bet if you look there you can find it!